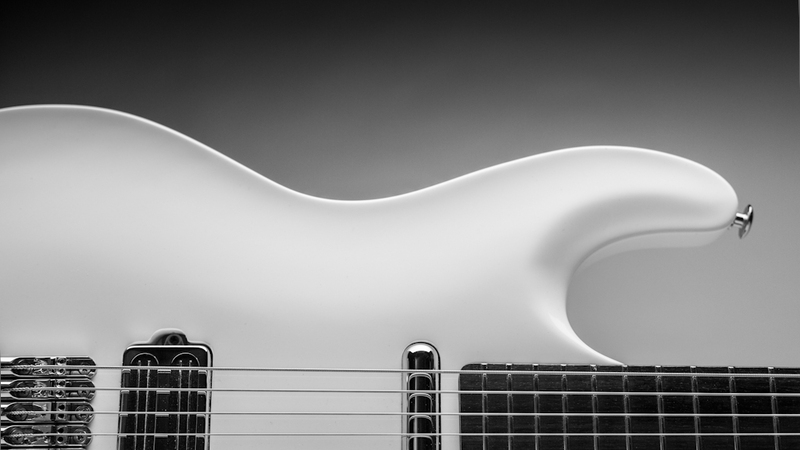 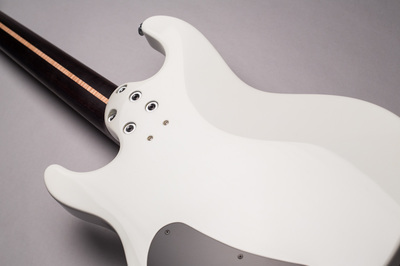 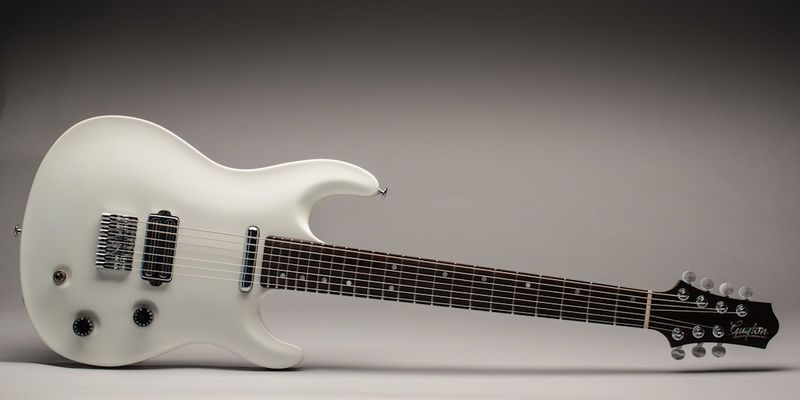 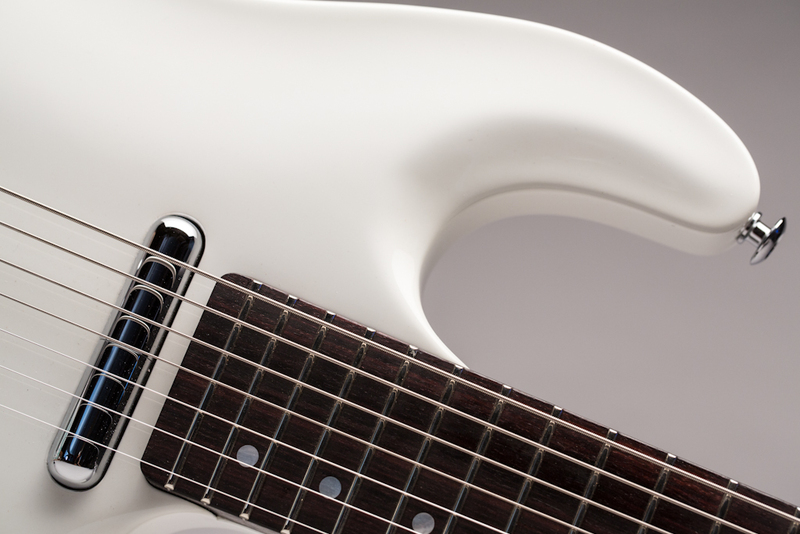 Body: Two piece Poplar finished in Olympic white Nitrocellulose. 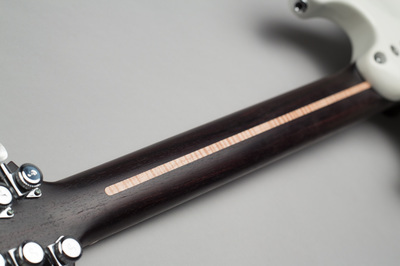 Neck: One piece Indian Rosewood with flamed Maple truss rod fillet. 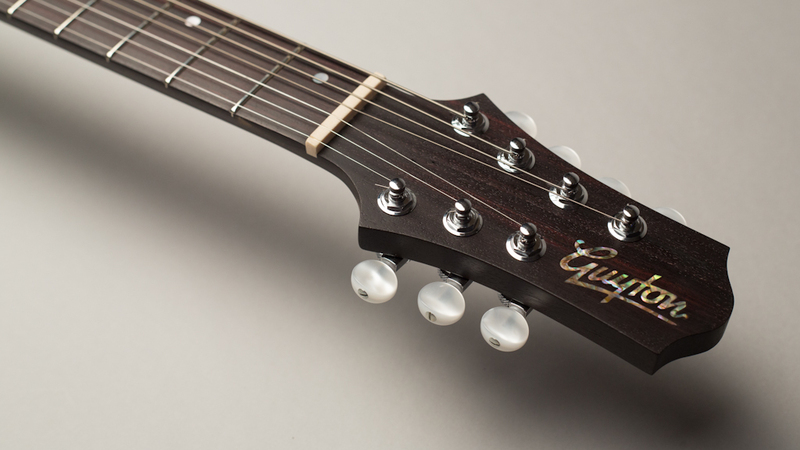 Oiled finish. 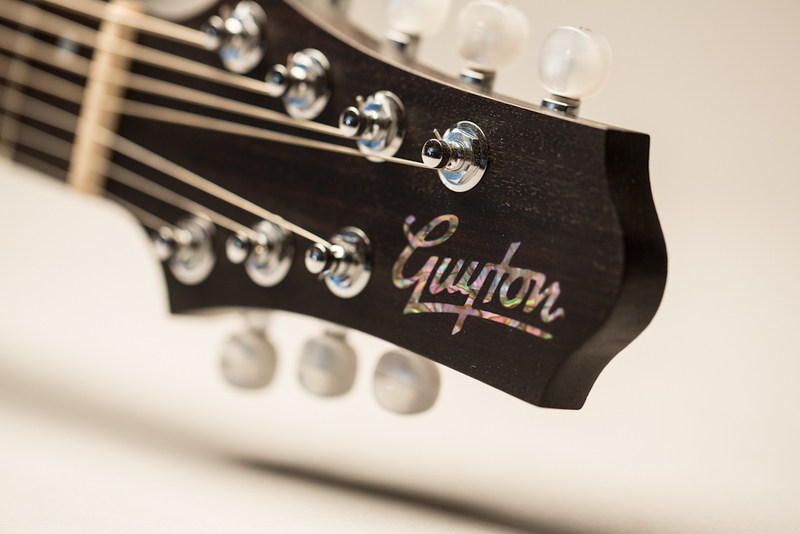 Mother of Pearl inlays. Bone nut. 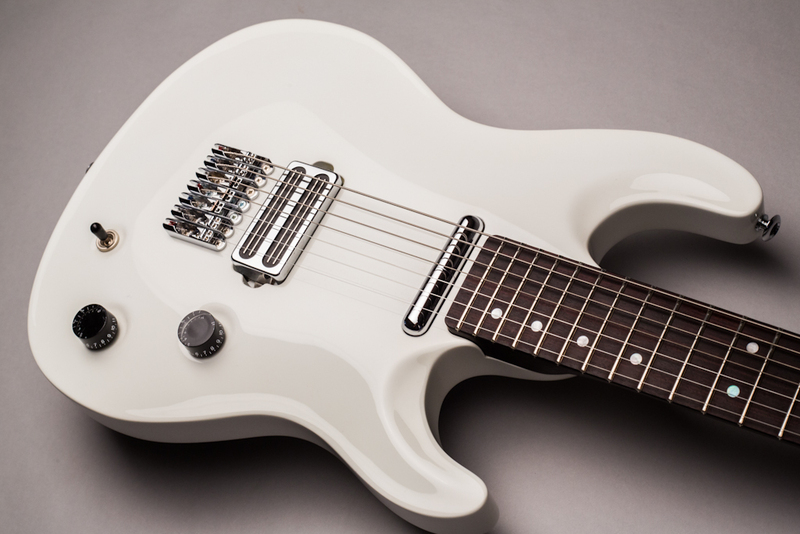 Pickups: Bareknuckle Impulse humbucker in bridge position, Kent Armstrong 'lipstick' single coil in neck position. 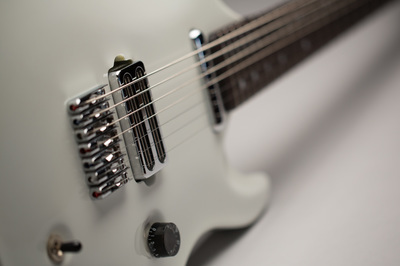 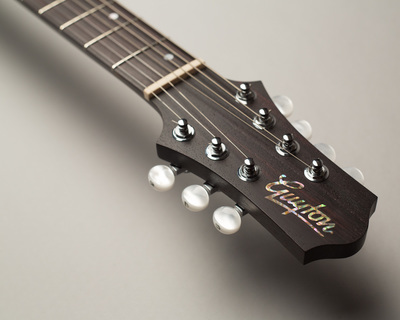 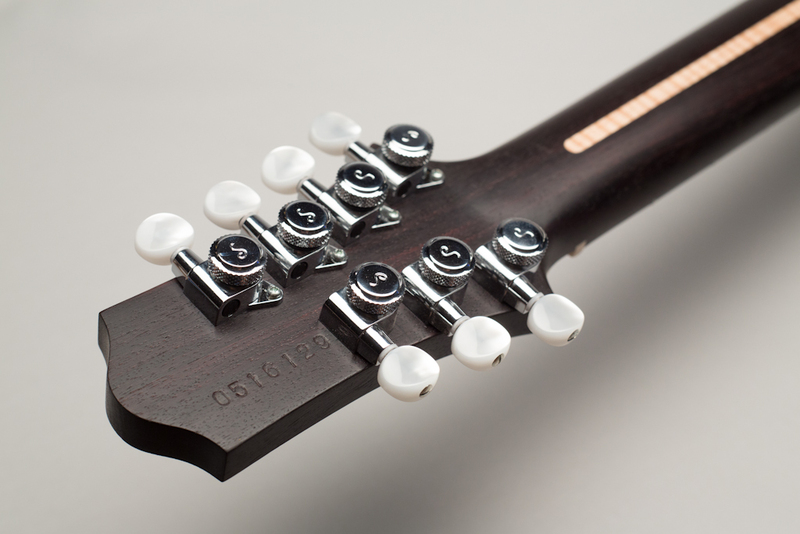 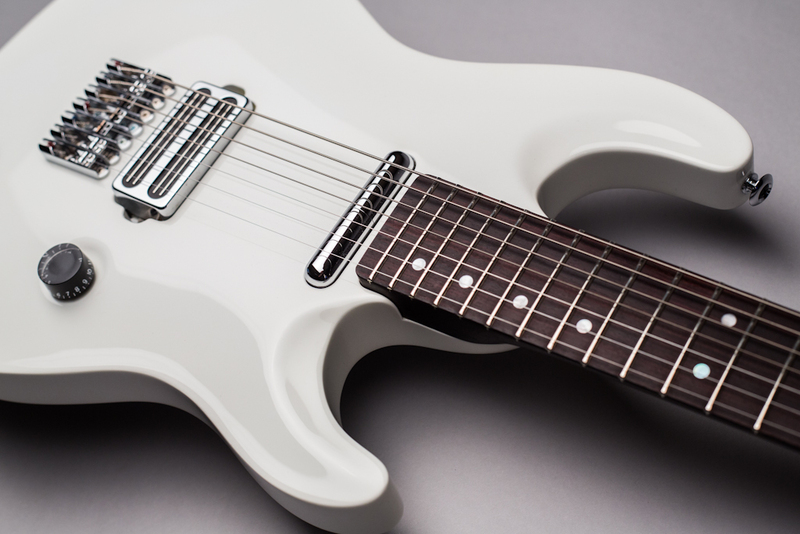 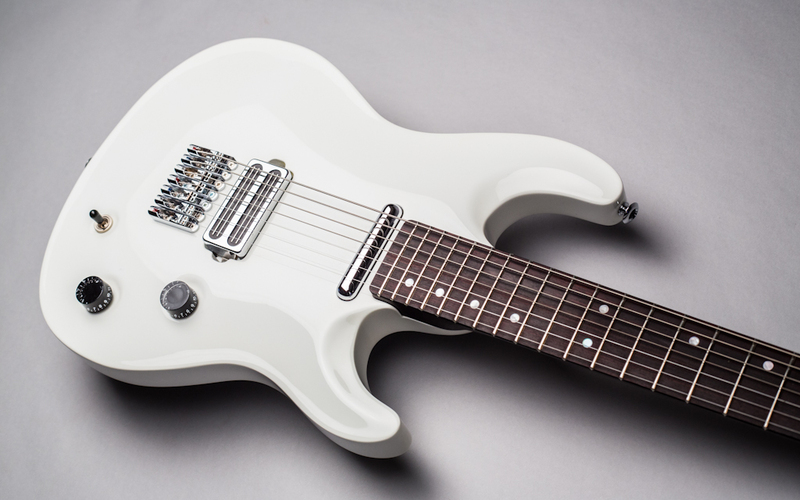 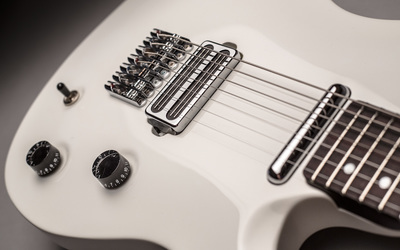 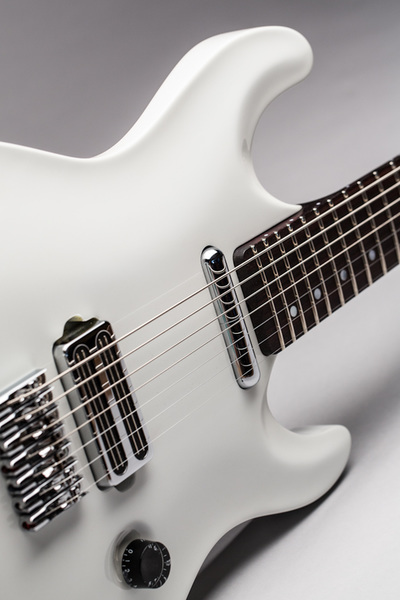 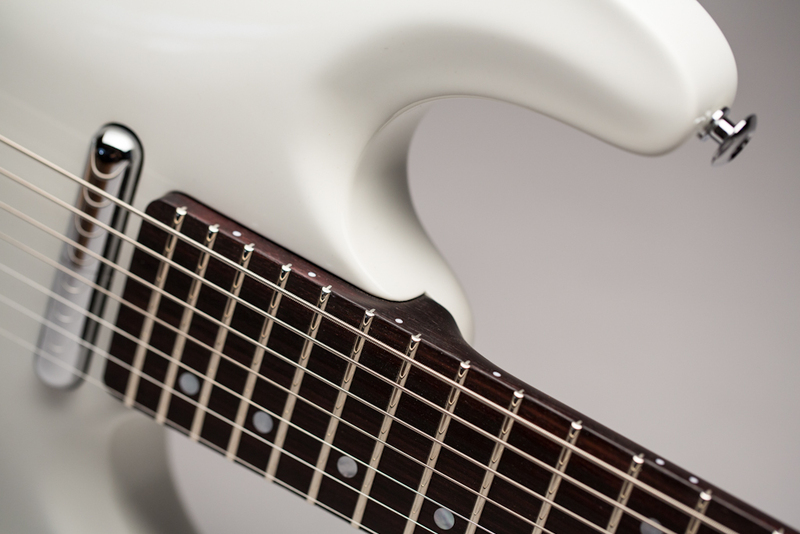 Hardware: Schaller back locking tuners with pearl buttons. 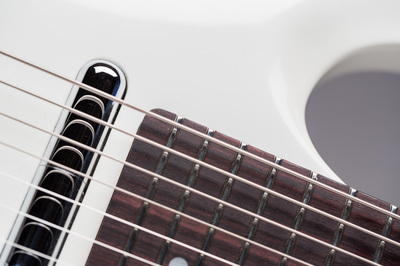 ABM single string bridge x7.